Galaxy Note 9 is one of the most powerful and feature-packed devices right now, and months post the launch, Samsung is still raving about it. Now the company has revealed how AI processing on the Exynos 9810 SoC boosts gaming performance in the Note 9. 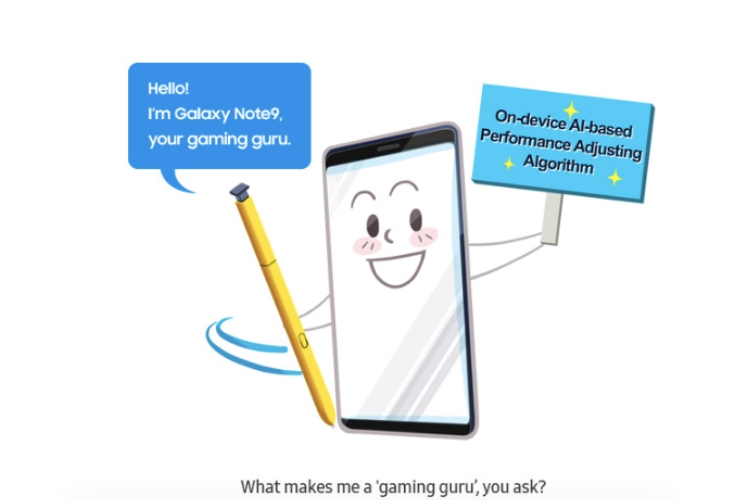 In an attempt to educate its users, Samsung has today published a cartoon strip that shows everything the “AI Guru” on board (i.e the on-device AI) is capable of and can bring for gaming. First things first, Samsung states that the on-device AI has been trained to analyze and understand the gameplay pattern for Galaxy Note 9 users. It analyzes your behavior ‘during the first five minutes,’ and then resorts to ‘data accumulation’ for the rest of your gameplay. 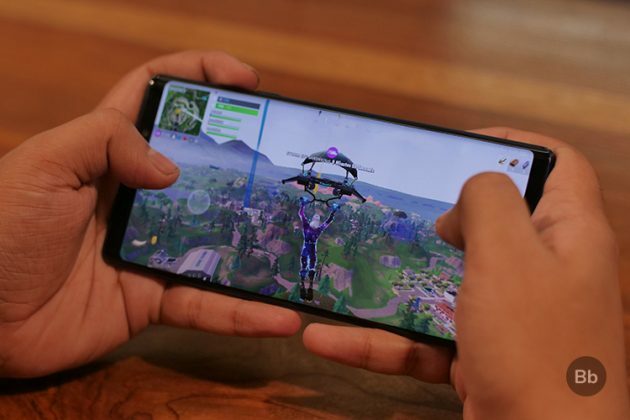 Samsung Galaxy Note 9 features a water-carbon cooling system to keep the temperature low during taxing tasks like these, but it’s the AI onboard that predicts ‘steep changes’ in temperature and balances out the settings to ensure an uninterrupted gameplay. The gameplay pattern data helps the AI form a gaming profile for each individual, decided by what they’re doing and the settings they prefer for different titles. Yes, Samsung states that its AI can learn and adjust the device performance based on different types of in-game situations. PUBG Mobile is the most popular game right now, but it can sure get taxing for the CPU and GPU. AI Guru “raises the level of CPU, GPU, and FPS (frames per second)” when you are in a battle within the game, to offer smoother frame rates and eliminate lag, but it does keep a close check on battery, as well as temperature levels. The Note 9 also has a nifty little Game Launcher, which lets you tweak settings such as pausing interruptions when you are gaming. There’s also an AI-backed feature called ‘Screen Touch Lock’ available here, that kicks in when you aren’t actively using the device but the game has been left open. The AI Guru kicks in at this point, lowering the screen brightness, FPS, and memory clock speed to reduce power consumption. You can return to your game simply by unlocking the screen and resume playing without a major performance hit, as the AI will once again ramp up the CPU and GPU for the game, which sounds awesome! So, this is exactly how Samsung is using on-device AI or the AI Guru to tweak performance and optimize Fortnite or PUBG Mobile experience for users. The Galaxy Note 9 seems like the first step in this direction but the upcoming Galaxy S10 devices, which would be backed by Samsung’s even powerful Exynos 9820 processor unveiled today, will take the implementation even further, as it brings even more powerful on-device processing.